Download image for your iPhone here. Nick Hoesing’s a cool guy. We met at Bonneville Speed Week 2009, my first year there. 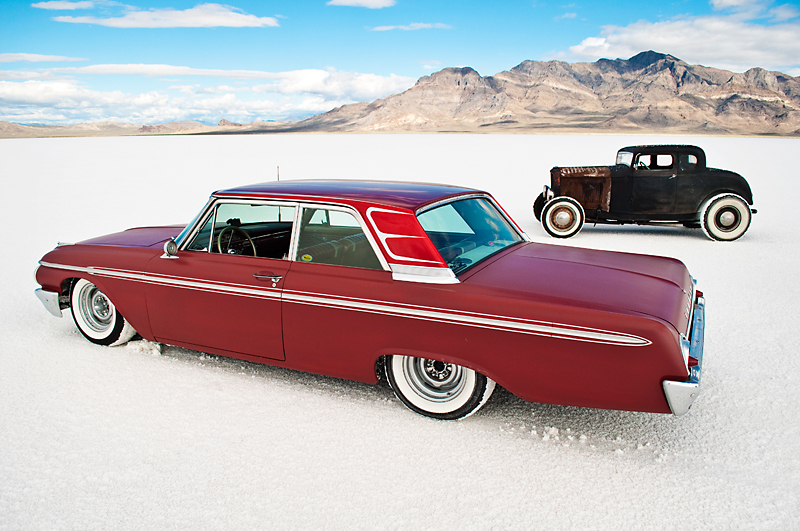 He was cruising a great looking 1962 Ford Galaxie he’d driven from Omaha, Nebraska to the Salt Flats in Utah. As friends on Facebook, I caught a glance of the model A roadster he was building, but hadn’t made it over to the HAMB for a full look. I wish I had before I shot these pictures because I missed some fine details of this roadster. 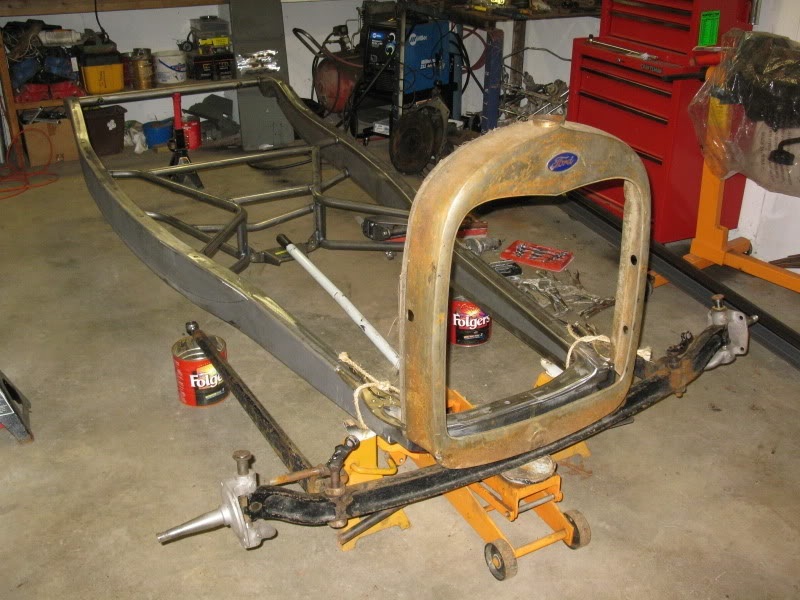 I’ll write a brief history of the build, but you should read the 40 or so pages of posts at the HAMB where Nick supplies details and photos of the build and fellow HAMBers encourage him and help when needed. That’s a community to be proud of. 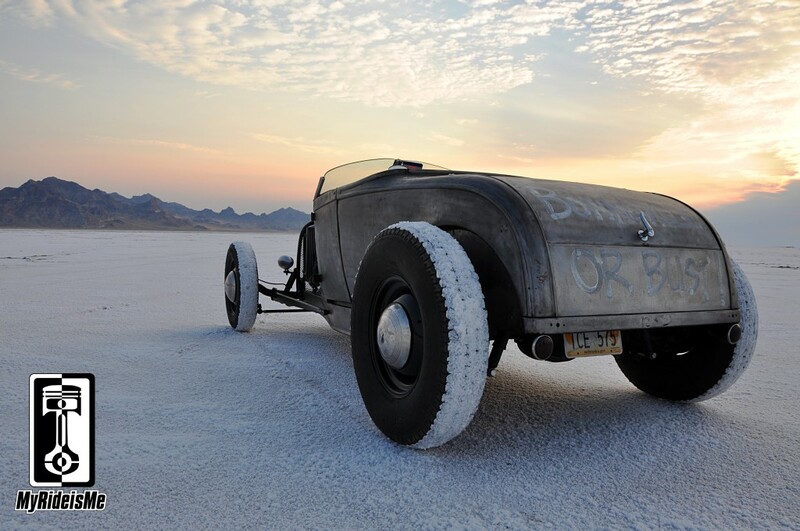 In the shortest summary of Nick’s supreme one-car-garage hot rod build… Nick started with a 28/29 Ford Model A Roadster body, then added a Blackboard Hot Rods 1932 Ford frame. The roadster runs a Ford 302 backed by a T5 although first plans called for a Ford 292 Y-block, with a 1957 Ford 9-inch in back with 4:11 gears. From there, the little tricks and details that Nick, his dad, uncle and buddies pulled off are many and dare I say, delightful. I especially like the Sellers Equipped made windshield. 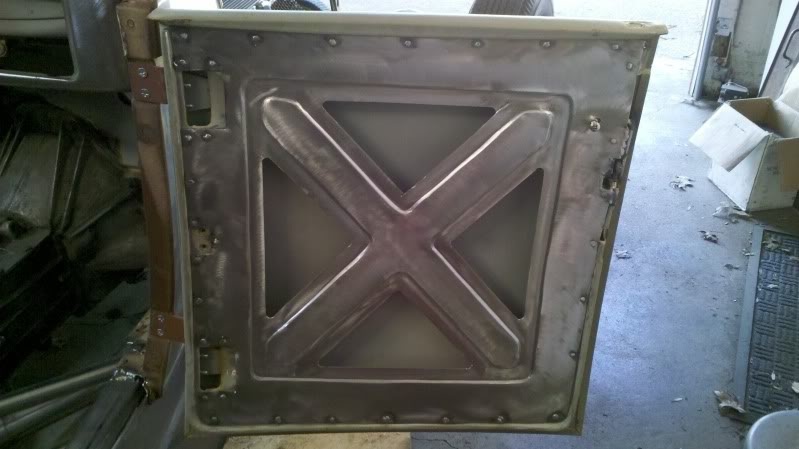 This is a “Hallock” style windshield, made back in the day for the Model A’s and now re-made by Sellers in San Jose. 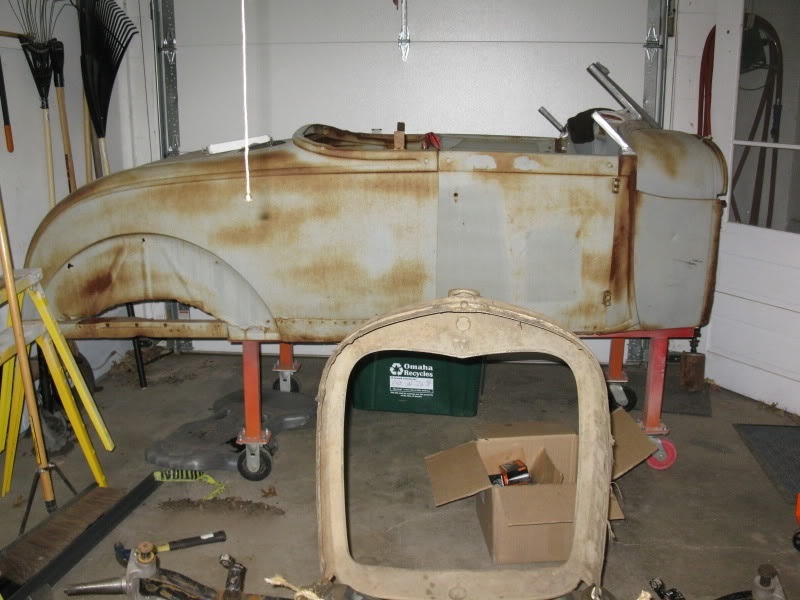 Then there’s the 1935 Ford Dash, and as pictured, the custom front, “Panhard Fork” (later scrapped by Nick) and slick inner door panels whipped up on a home bead roller. 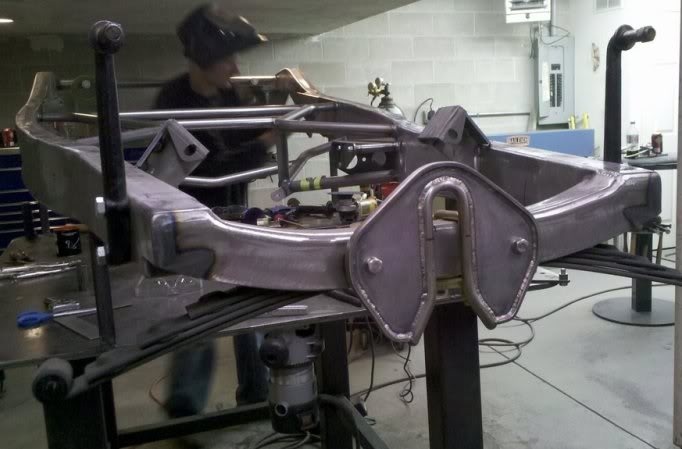 There’s no picture, but creativity struck when Nick saw a Chrysler minivan 3rd row seat and cut that down for his roadster. 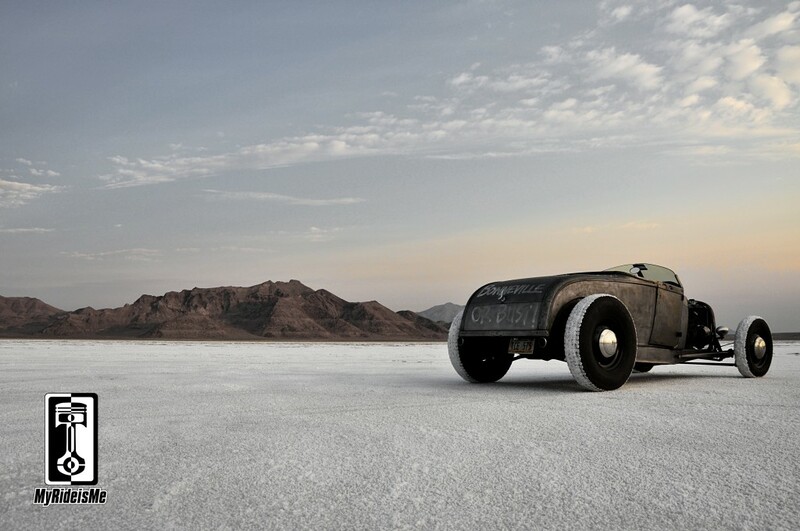 It’s a great looking, hard driving hot rod to make the 2200 mile round trip – no doubt. 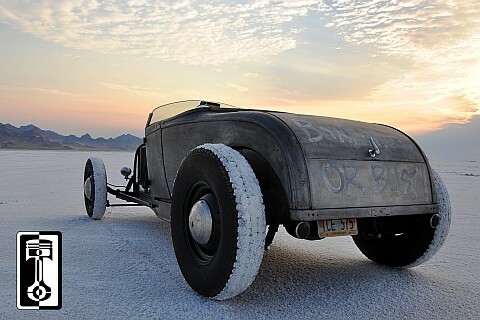 Grab the details of the build here: Part 1 and Part 2 – but before you go, please check out my pictures of Nick’s Roadster, in a glorious Bonneville sunrise. As I’ve said before in Hot Rods of Bonneville Speed Week 2011, Speed Week brings out the hot rods. 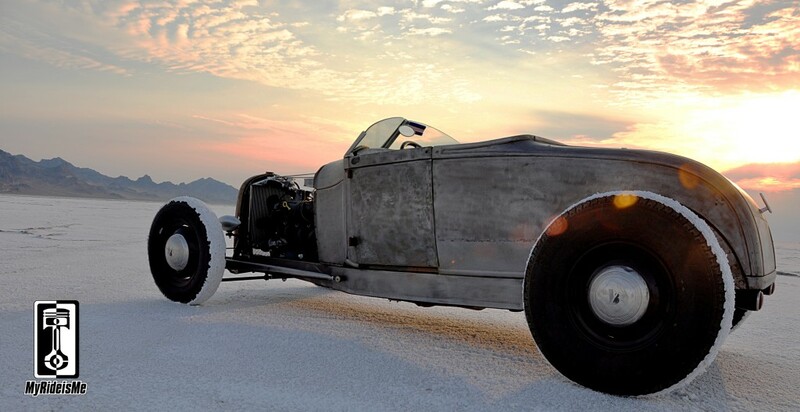 The stark white salt, the chiseld iron of a rock solid hot rod with the golden light of sunrise. If I could sip my coffee while shooting these shots, it’d be perfect. But no! I searched for the perfect angle to catch the heart of a 2200 mile drive… with no chase car and only the tools that fit in the truck (with luggage and other supplies). Nick’s uncle, John Staab made the journey with him. 1100 miles, arriving on Friday evening in time for the Nugget car show in Wendover, then they left, right after these shots, for the journey home… on Monday morning. Road warrior. I hope you enjoy these pictures. I’d love some feedback of color vs. black and white and which one’s your overall favorite. For a couple there’s iPhone desktop images to download. At a glance, these two shots might look the same. Click on either one and you’ll see a “oil painting” effect I used to soften up the bottom shot. The picture below is my favorite of the shoot and is my desktop image. It brings me back to the peace of that morning. In the shots below, you can see me experimenting with black and white, versus color, versus limited color. Like’m? Hate’m? Which one is better? Download this image for your iPhone here. This is the first shot in this story shown in B&W. 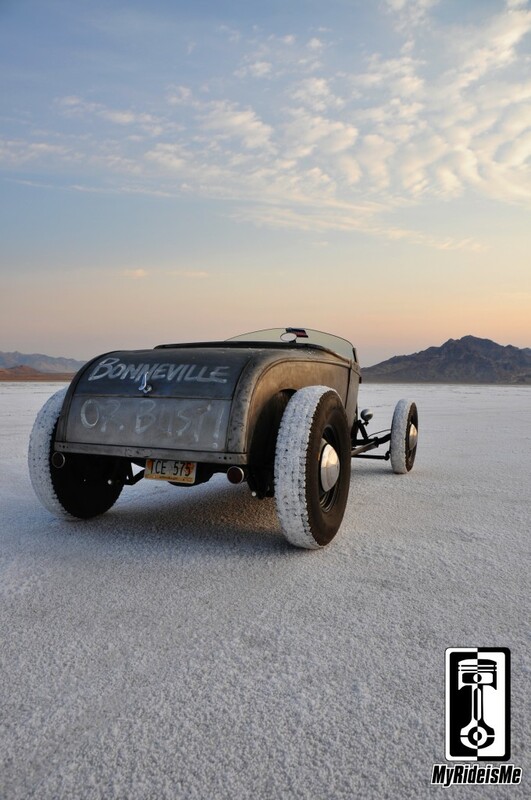 Then a couple shots pulled back showing more of the fantastic backdrop that is Bonneville. And with limited color. I like this one too. And finally… I’m no Peter Vincent (Dude’s got skills) but I’m pretty happy with these shots from my Nikon D90. Finally, here’s the boys: Nick Hoesing and his uncle, John Staab. 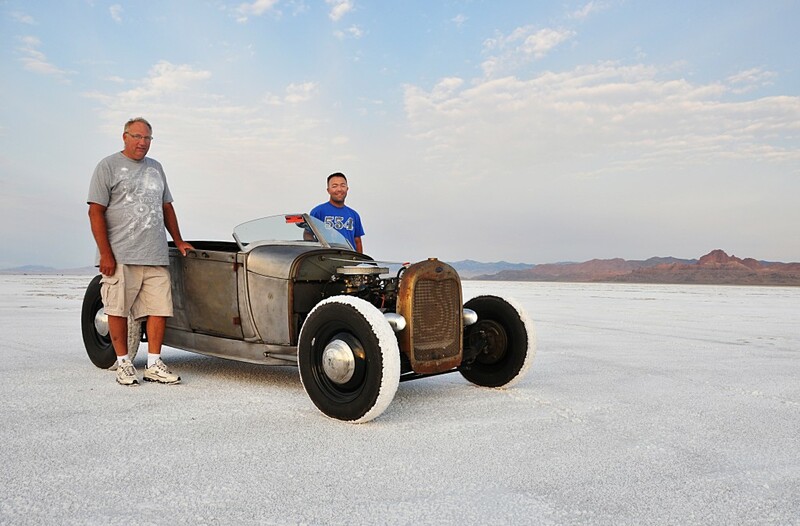 Thanks for a great story and for letting me shoot your one of a kind hot rod! I shot a couple more hot rods out on the salt, but that’ll have to wait. Please stay tuned and don’t forget to leave a comment with your feedback on the photos and Nick’s journey. This car is an inspiration. I’m happy to be able to see it so often. 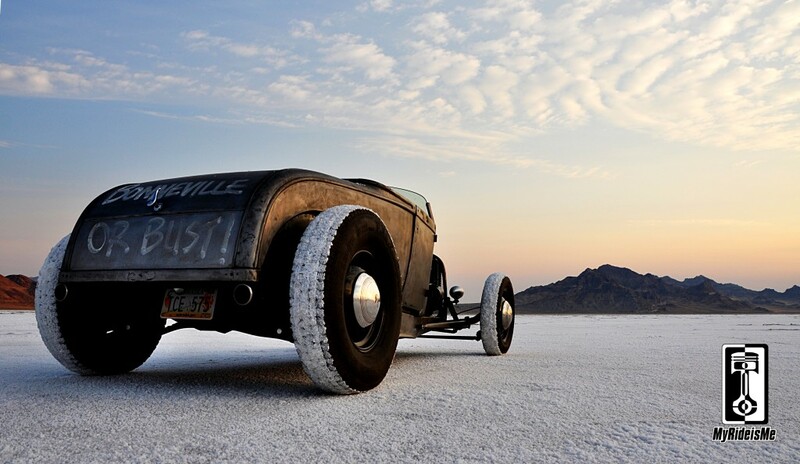 Real hot rodding at it’s finest! All those shots are pretty rad! 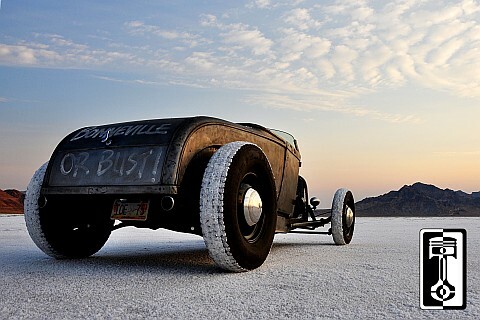 Love this roadster and Nick is the man! Cool cars! 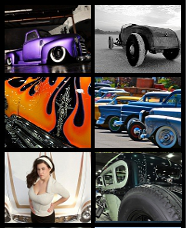 These are all great images of Nick’s beautiful hot rod. 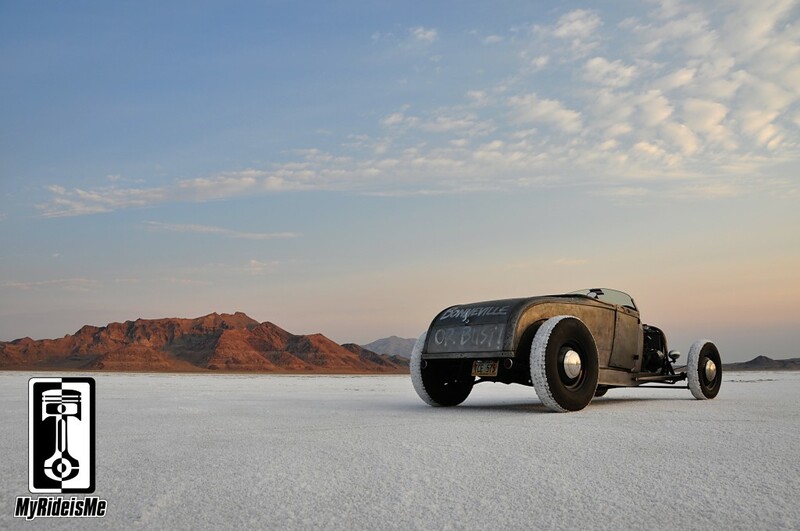 I had the opportunity to see the car at Bonneville this year and you have certainly captured the car’s unique character. When comparing the black & white image to the color image, to my eye, the B&W image takes your eye to the car, while the color image takes your eye to the Bonneville landscape… I think. Hi Texx, I never thought of the photos that way. It’s something I should consider too. I like the sunrise so much, it’s hard to turn it gray, but the car has a great shape and is a great home build hot rod and the owner’s super cool. Something to think about!